Absolutely exquisite. 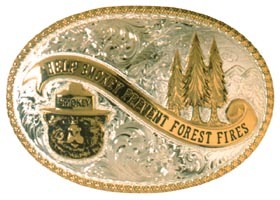 This gold and silver plated buckle is 3" x 4.25" and is sure to please and honor anyone associated with trees and forests. Includes fine gift box. Made in the USA.